If you’ve spent much time reading food blogs or magazines, you probably know what harissa is, but for those of you that don’t (Hi Dad! ), let me fill you in. 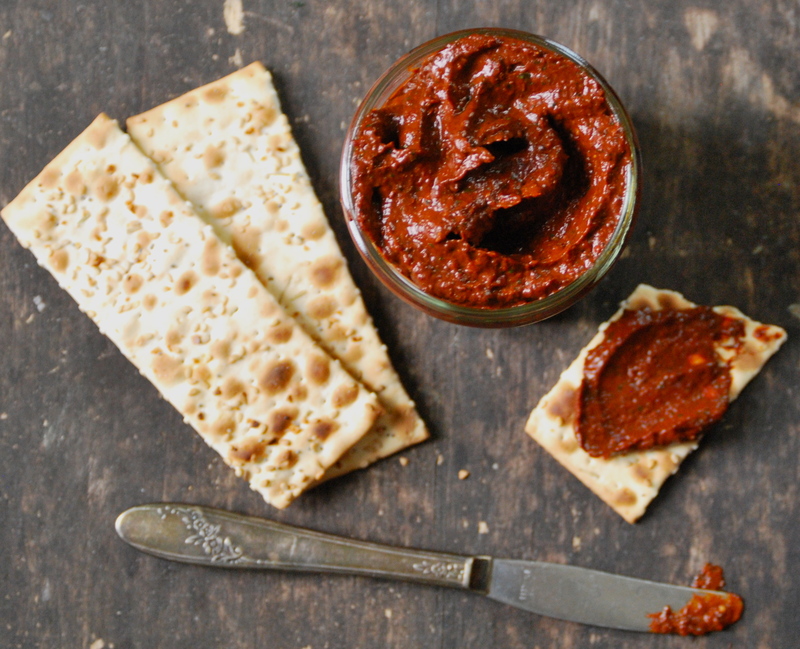 Harissa is a North African condiment made mostly from peppers and spices. And it is amazing. Like a punch-of-flavor-to-your-tongue amazing. It’s often found on Moroccan tagines, but I’ve found so many more day-to-day uses for it. I love to slather it on sandwiches. 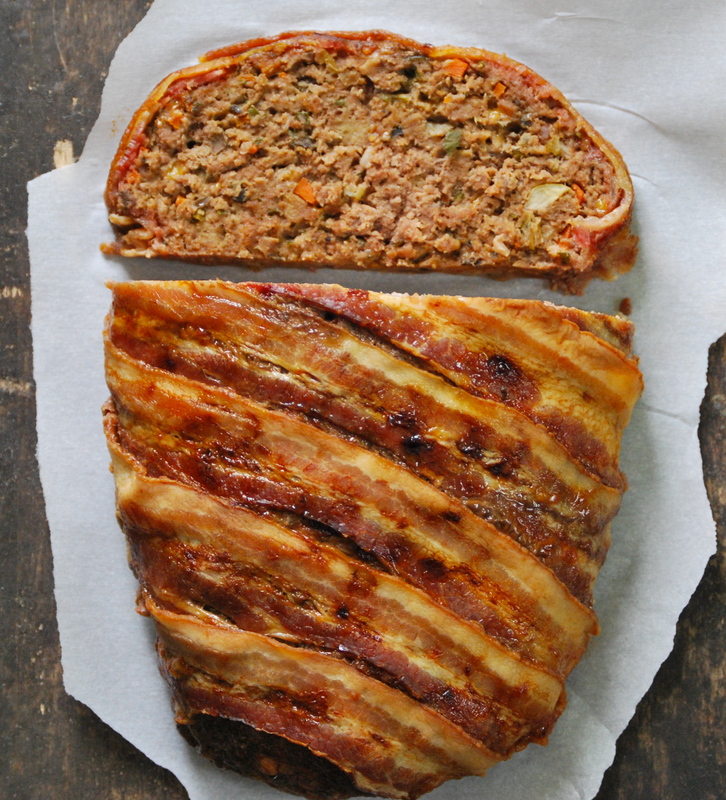 Try it on this meatloaf with a bit of mayonnaise and some hot peppers. Heavenly. It’s also fantastic on an egg sandwich where the yolk is still a bit oozy. Crunchy salads, or paired with carrots– harissa transforms an ordinary meal into something divine. If you’ve been visiting Relishing It for awhile, or taken a stroll through the ‘menu’ section, you know that I love to make my own condiments. It’s not difficult, and to be honest, they just taste better than those bottled versions that are mass manufactured and sit on the shelf for months. This mustard, ketchup, and red curry paste are a few of my favorites. 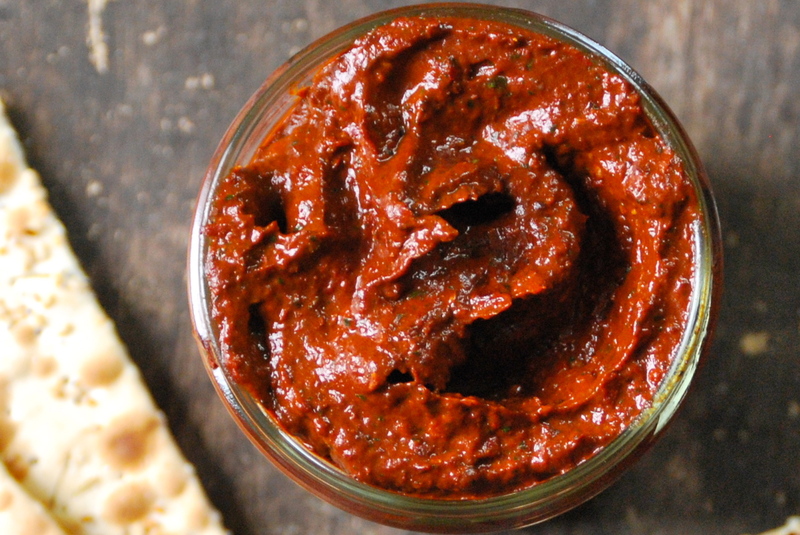 Harissa isn’t quite so common, but there really are a ton of recipes out there, and they are all a bit different. Some use tomatoes, some don’t. Some use fresh herbs, others stick with dried spices. For this harissa, I was looking for something a bit smokey, but not too spicey. I also wanted it to have a fresh, herb flavor. If you want more of a kick, you can simply add more cayenne pepper or choose a hotter variety of dried peppers for the base. One nice thing about this recipe is that you can easily manipulate it to suit your own tastes. For my part, I think this one turned out perfectly, so I won’t be changing a thing. 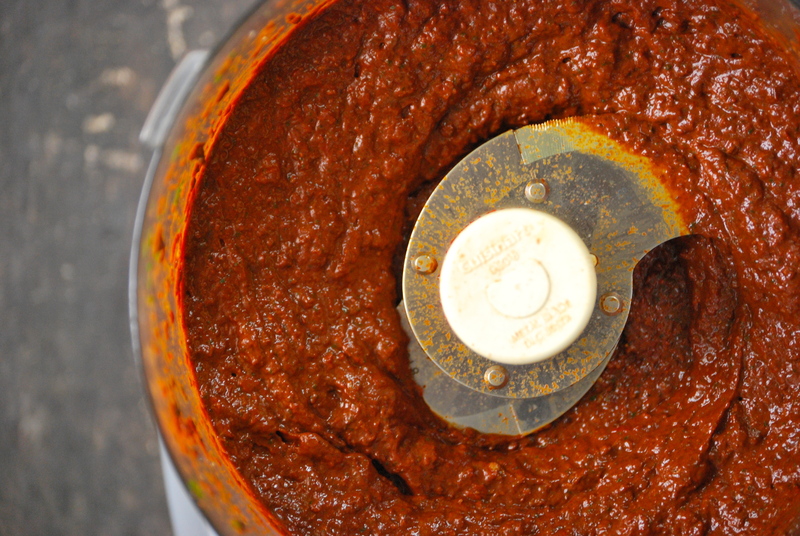 Top your Harissa with a bit of olive oil to store in the refrigerator for an extended period of time, it should last a few months this way. But…it won’t. You’ll eat it up in no time. It’s that good. Hope you enjoy! 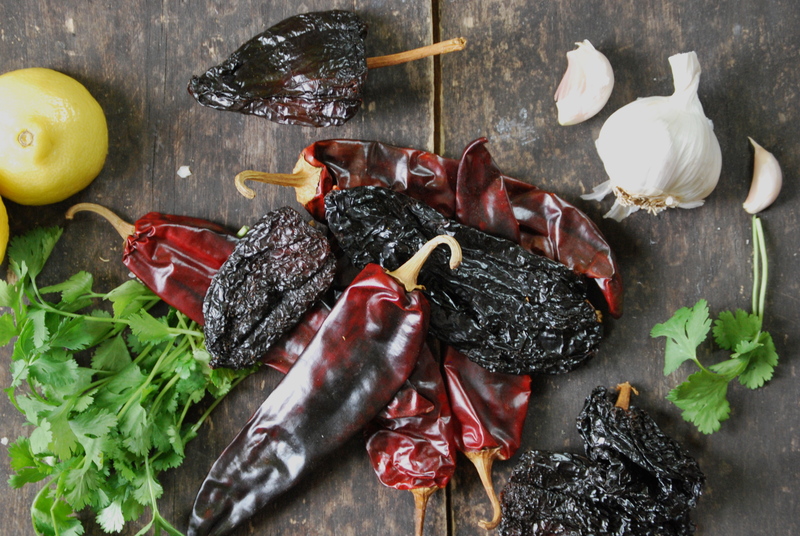 Place the dried peppers into a medium sized bowl. Pour enough boiling water over them so they are covered. Place a small plate on top of them to keep them submerged. Cover the entire bowl with another larger plate, to keep the heat in. Let sit for 1 hour. 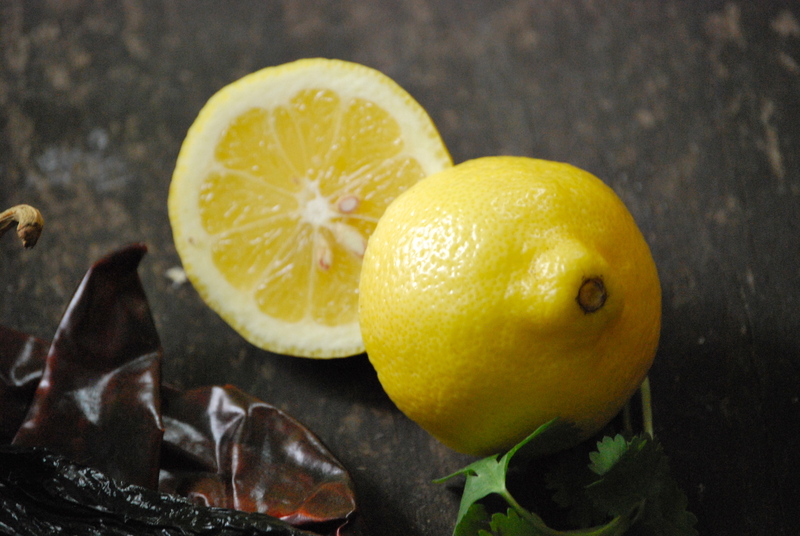 When the peppers are soft, begin by reserving some of the soaking liquid. Remove the peppers from the water. Remove the stem and carefully dump out the seeds. 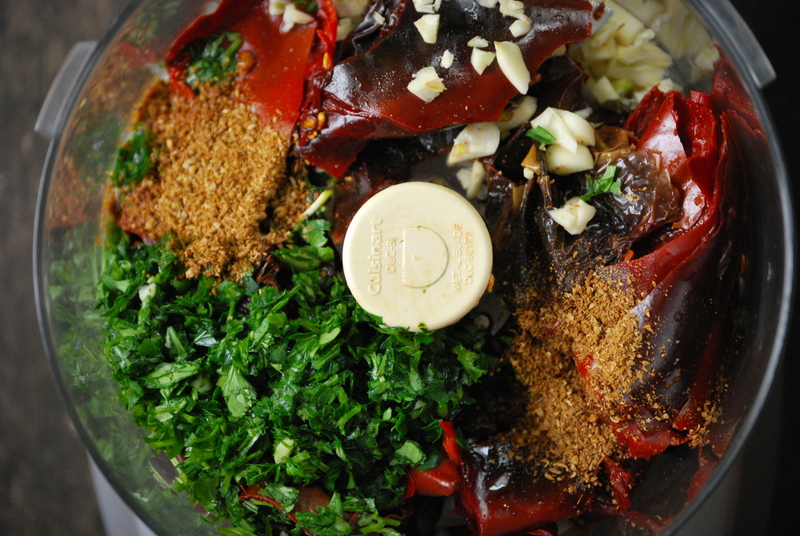 Place the peppers and the remaining ingredients into a food processor. Process for a few minutes until completely smooth. Taste. Adjust seasonings and thickness, if necessary. Store in a jar with a lid in the refrigerator. Cover with a layer of olive oil, if intending to keep for an extended period of time (several months). I don’t cover mine with olive oil, but I generally use it within a few weeks. Enjoy the heck out of this! Thanks, Holly! And absolutely yes to brunch– keep me posted! I have a jar of harissa in my fridge that I’m not crazy about. Your post confirms that I should finally try making my own. Thanks for posting! I love harissa but never thought to make my own. Genius! This looks so fabulous! 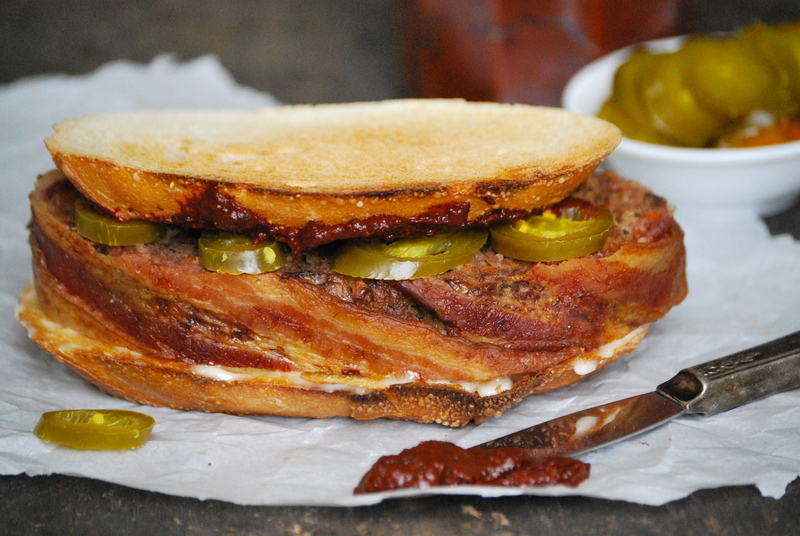 I want a big smear across one of those gorgeous meatloaf sandwiches! I’d recommend adding a dash of caraway to the recipe – that seems to crop up in a lot of recipes, and whenever I’ve made my own, it seems to be the secret extra something. Thanks for the advice, Eric! I’ll have to try that next time.